Michigan Dog Bite Attorneys | Dog Bite Law in Michigan | Foster & Harmon P.C. Michigan Dog Bite Attorneys | Foster & Harmon P.C. A dog bite can be a traumatic experience that can cause serious and long lasting injuries. If you suffer a dog bite, you should immediately seek medical treatment to prevent infection and identify the dog and report the dog bite attack to the local county Animal Control Agency or Sheriffs Department. It is important to take photographs of the dog bite injuries and to contact a reputable Michigan dog bite attorney, experienced in representing individuals with who have suffered similar attacks. After a dog bite attack, the dog bite victim may be facing significant medical bills, pain, treatments and pressure from an insurance company to provide a written statement or settle the case for minimal dollars. Your chance for success in pursuing a claim increases depending on how effective the investigation and representation are by a dog bite attorney that is skilled in this area of the law like the dog bite lawyers at Foster & Harmon P.C. in East Lansing Michgian. 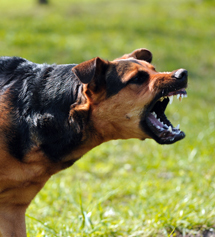 Michigan’s dog bite statute provides that the owner of a dog that without provocation bites a person while that person is [on public property/lawfully on private property is liable for any damages suffered by the person bitten, regardless of the previous viciousness of the dog or whether the owner knew of that viciousness. The dog bite attorneys at Foster & Harmon P.C. have successfully recovered damages for dog bite victims and held negligent dog owners responsible for the injuries and hardships resulting from the attack. It is important to discuss your case with an experienced, dog bite attorney in Michigan who can aggressively pursue a settlement for you. 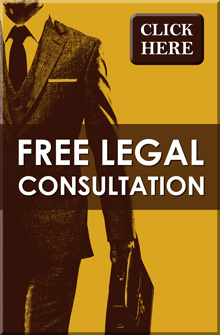 Call a dog bite attorney today for a free initial phone consultation and find out if you have a case. For more information contact us today at 517-337-4600.